The whole reason for our visit to Chincha was my interest in the afroperuvian culture. Chincha is known for its distinct musical and culinary flavours, quite unlike that of the rest of Peru. I knew that it was a place where African slaves settled after being freed from servitude, but I had no idea that it had also been where they were enslaved. History class taught me that the vile slave trade occurred between the US and Africa. However, thousands upon thousands of people were kidnapped from their homes in Africa, shipped across the seas, and put to work on plantations in South America. Our visit to the Casa Hacienda San José was the greatest way to understand the importance of history on the current culture of the area, because, well, for almost 200 years this hacienda was one of those plantations. Ready for a history lesson? In 1688, the Spanish owners of the hacienda grew sugar cane. Except, they didn’t farm it themselves, they had 87 African slaves working the fields. By 1784, a few generation down the Spanish bloodlines, business was booming. They bought up more land and slaves, now up to 1,000 slaves at a time, to also grow cotton. Luckily, in 1854 slavery was officially abolished in Peru. Unfortunately, the current master had inherited not just the land but also the tendency to be a inhumane prick. The hacienda kept their slaves working under the same awful conditions for another 25 years. How did it end, you may ask? Well, there was a revolt and the patron, and final hier, of the estate was murdered. Rightly so, I say – self defence! During our tour of the Casa Hacienda San José, we were shown the punishment room for misbehaving slaves, still in original condition. Misbehaving included using your own name, instead of the name allocated by your owner, knowing how to read, or setting eyes on the lady of the house. Punishment was ten lashes across the back, which cut their skin open, followed by being enclosed in the punishment room for three days. 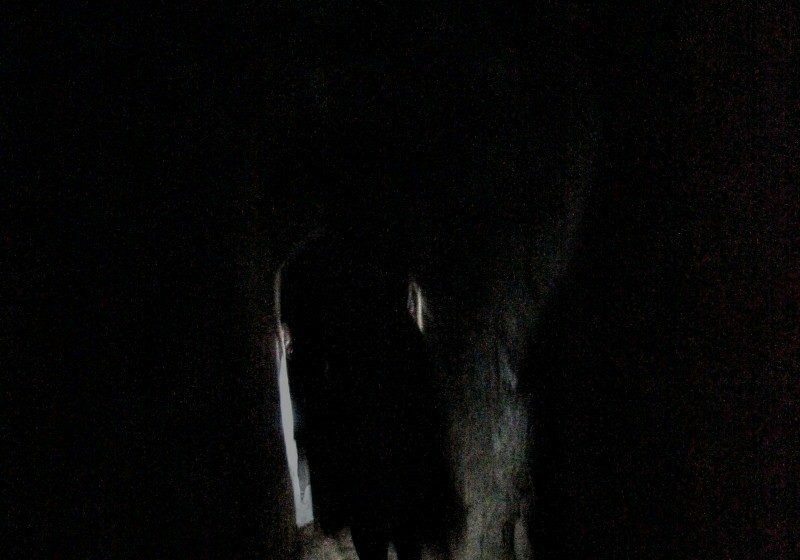 This stone chamber was under the verandah of the hacienda, it was pitch dark. Michael was asked to demonstrate the position in which they were chained. One ankle in a D-bolt, balanced on a pole 20 cm above the floor, with each hand chained either side of his ankle. It was impossible to sit without splitting your wounds wider, near impossible to stand on one foot, especially for days. Below the entire building are catacombs, which were used for keeping water supplies and slaves, in pitch dark. The tunnels were deliberately made with low and uneven ceilings so the tall African slaves wouldn´t be able to stand upright, and the floors uneven, with steps and dropoffs, so escape in the pitch dark was impossible. The hacienda has been a world heritage site since the 1970’s. It is filled with centuries of artwork, depicting life in the grounds, or portraits of patrons. The ornate chapel is still used by the surrounding villages today, although the blacks weren’t allowed to enter the chapel whilst slavery was in full swing. Maybe that might have heard God’s words that all men are equal, or something equally terrible. As well as being a living museum, the hacienda now operates as a lah-di-dah hotel/ resort. We had a drink on the terrace, overlooking the tennis courts, or was it a pool? And I’m sure that I heard a horse whiny. Michael´s thoughts: La Casa Hacienda was a strange place. Relaxing under the verandah with a beer the place was so calm and serene, and a welcome change from the noise and action of Chincha. The buildings are grand in scale and the architecture is really quite beautiful. It´s just hard for that idea to meld with the absolute and unneccesary brutality of what transpired here. Every aspect was specifically designed to not just obtain obedience, but utterly destroy people. A very interesting afternoon, and it would be a super relaxing couple of nights if you are up for dropping the US$300/night for a room. Well worth the visit, but if you have any sense of empathy you´ll come out with mixed feelings that are hard to reconcile.